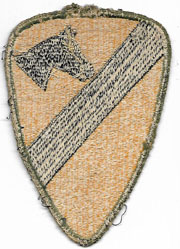 WWII 1st Cavalry Division Occupation "Bridle" patch. 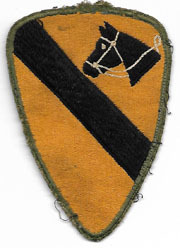 Standard issue 1st cav patch but around the horses head has been hand stitched a bridle set. This was because the soldiers felt that while they were on occupation duty there were too many rules and regulations. Used.